The new HTC EVO Shift 4G ($149.99) is Sprint's latest Android 4G device. It has a slide-out keyboard, mobile hotspot capabilities and the requisite 5MP camera. In many regards, the EVO Shift 4G is essentially a slighlty smaller version of the Samsung Epic 4G. Even though the EVO Shift 4G came out nearly six months after the Epic 4G, it seems like a step backwards. And after two weeks of hands-on testing, I came away generally unimpressed. Both feature and performance-wise, the HTV EVO Shift 4G offers nothing new, and issues with connections and battery life were a major drawback. The HTC EVO Shift 4G is a solidly built phone, with a textured back that feels comfortable and secure in your hand. Slightly smaller the the Samsung Epic 4G (4.6" x 2.3" x .6" for the EVO vs 4.9" x 2.54" x .56" for the Epic), those with smaller digits may appreciate its form factor. But like other HTC phones, the solid build comes at the cost of weight, and the EVO Shift 4G weighs nearly a half-ounce more than the Epic (5.9 ounces vs 5.46 ounces). Of course the EVO Shift 4G is considerably thicker and heavier than phones without a slide-out keyboard, so you should consider whether this is really something you want. The slide-out keyboard on the EVO Shift 4G is stiff, almost gritty in its movement—nothing like the smooth motion on the Epic 4G. The display on the HTC EVO Shift 4G is a slightly small (compared to other Android phones) 3.6-inch 800x480 LCD touchscreen, but display quality was crisp and clear with nice contrast. The smaller screensize was definitely noticeable while web browsing, where I appreciate the 4-inch real estate of the Epic 4G. Sound from the built-in speaker was typical cell phone tinny, but no worse than most other phones. Where I encountered a more serious issue was with the headphone jack. For some reason, my headphones wouldn't mount securely and jiggled loose constantly while working out at the gym, causing Pandora to pause playback. It was incredibly annoying and not something I've encountered with any other phone. The HTC EVO Shift 4G delivered some of the worst call quality of any phone I've tested recently. Calls broke up, had static and, yes, even dropped. In fact, the phone was basically unusable from my office on the East Side of Manhattan unless I kept my head in close proximity to the window. If you have better Sprint coverage in your area, your experiences may be different. The HTC EVO Shift 4G, as its name clearly suggests, is capable of leveraging Sprint's 4G WiMAX network. And when I was able to connect to 4G, the EVO Shift delivered blazing fast speeds of up to 7.3Mbps. However, 4G connections were more miss than hit in my testing. And Sprint's 3G network was slow as molasses, averaging around 500Kbps, and often dipping much lower. Regardless of whether you have 4G coverage in your area, Sprint charges an extra $10 a month for all 4G enabled phones. The EVO Shift 4G can act as a mobile hotspot for up to eight devices. As on any Android device, it's easy to set up. Using the hotspot requires an additional $30 per month fee from Sprint. The HTC EVO Shift has a 5MP camera with an LED flash and takes 720p HD video. Both camera and video quality were pretty decent. Low-light shots were noisy, but were as good or better than the Samsung Epic 4G. Controls were rather basic, but well laid-out and easy to use. You can adjust the ISO, turn on and off the flash, select visual effects and make adjustments to image saturation, white balance, etc. For the most part, I would recommend just leaving these alone and doing any image adjustments on your computer. Suprisingly, given its 4G stature, there is no front-facing camera on the EVO Shift 4G. Whether this was a cost saving measure or someone simply forgot to put it in the design specs, I don't know. But it's another area where the older Samsung Epic 4G holds an advantage. First off, let me say that I'm not a fan of slider keyboards on phones. They're too small to be really useful, and add weight and thickness to the phone. The EVO Shift 4G simply confirms my preconceptions. The keys are flat and difficult to use, requiring a lot of re-typing to correct my mistakes. Due to the smaller form factor, the EVO Shift 4G also doesn't have a dedicated row for numbers like the Epic 4G, requiring more key presses to type. The direction pad in the lower right corner functions as little more than up/down/right/left arrows, which adds little value on a touchscreen phone. And perhaps because there is a physical keyboard, HTC elected not to include Swype as part of the virtual keyboard. Which is a shame, because I believe that once people become familiar with Swype, they won't miss the physical keyboard at all. The EVO Shift 4G uses the standard HTC Sense overlay on Android, with seven panels, each customizable with various widgets and apps. Response times were snappy. The HTC EVO Shift 4G comes with 2GB of onboard memory and a 2GB microSD card expandable to 32GB, which should be plenty for most people. I was dissapointed by the battery life on the EVO Shift 4G. It was among the worst of recent phones I've tested, rarely lasting me through the day. It's possible that my experience may be due to the poor Sprint network in my area, causing the phone to spend more energy looking for a signal, so your experience may be more positive. 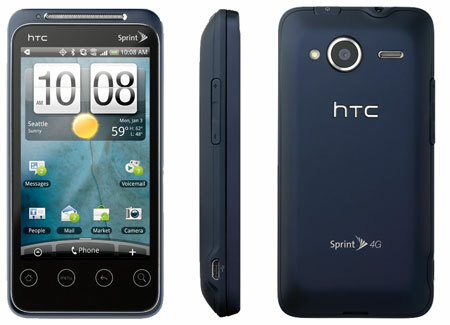 The HTC EVO Shift 4G is available at Sprint.com for $149.99 with a new, two-year customer agreement. That's $50 less than the Samsung Epic 4G, but still pricey given that you can pick up a myTouch 4G on T-Mobile for $99.99 and not have to pay the additional $10 a month Sprint tacks on for the 4G "priviledge". If you really have your heart set on this, you can pick it up the Evo Shift 4G for $99.99 with a new Sprint contract from AmazonWireless. In case you couldn't guess, I'm not a big fan of this phone. While I love other HTC phones, especially the myTouch 4G, the EVO Shift 4G is a let down when compared to the Samsung Epic 4G. And whether it was issues with the phone or Sprint's network, the EVO Shift 4G did poorly at the two key things I need my phones to do—make calls and download information. 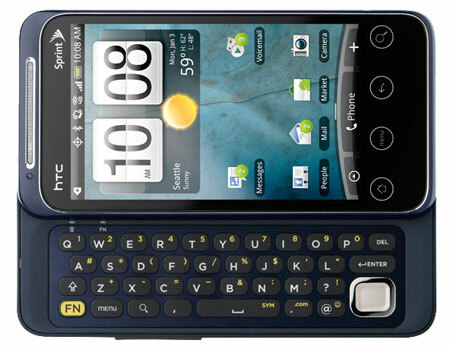 That said, if you're in a better Sprint service area than I am, a slide-out keyboard is really important to you, and you want something smaller than the Epic 4G, I guess the HTC EVO Shift 4G is the right choice. Talk and Standby Time: Up to 6 hours talk time. My Epic will be dropped off at my house tonight (hopefully). I can’t see why anyone would pick the Shift over the Evo. Congrats on the Epic. I hope you have better luck with Samsung and their smartphone support than I experienced. I had the Moment and was looking forward to them finally releasing an update, until they released it and made my phone worse. People who use the device for more than placing calls, texting, and playing accelerometer games might want the keypad. After trying to write emergency patch code on a touchscreen keyboard, I’ll never be without a qwerty keyboard again if I can help it. This review sucked, it was way too much opinion. “Well I think…” or “I believe this…” aren’t going to cut it when you’re searching to see if the phone you like is right for you. How about some specifics, Nik? I appreciate the feedback, but it would help if you provided some indication of what you don’t agree with or what else you would have liked to see. Not sure where your quotes come from, but “I think…” never appeared in the review and “I believe…” only appeared once in reference to a preference for Swype over a physical keyboard, which is very much a matter of opinion.